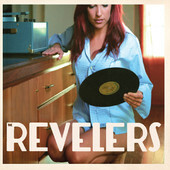 The Revelers CD is out! Posted on Monday, April 2nd, 2012 at 4:27 pm. Filed under: Artist Spotlight, Blog	RSS 2.0 feed.